1) How do I get Free Stuff? Browse through the website, and find the offers you like. Click the ‘GET FREEBIE’ button to be directed to the companies website who are running the free sample giveaway. Follow the instructions on their website. Normally, just type in a few details like your name and address and submit the form. Freebies normally take 28 days to come, but it depends on the offer. 2) Who sends the freebies? Companies who run these freebie campaigns include L’Oreal, Nivea, Tesco, Cadbury, Gillette, Colgate, Olay, Dove, Fairy, Pampers, Huggies, Head & Shoulders, Simple, Oral-B, Always, Vodafone, Twinings, BBC, Redbush tea, and more. We find the best UK freebies and add them to our website everyday. 3) Why haven’t I received any freebie? LatestFreeStuff.co.uk does not stock any freebies. Companies that run these freebie campaigns can get overwhelmed with demand with popular offers. Sometimes they get over 100,000 freebie requests! Generally freebies arrive in less than 28 days. Please be patient if it hasn’t arrived (remember they are freebies). If you have been waiting longer then we recommend sending the company an email to asking when the freebie is likely to arrive. 4) What kind of free stuff can I get? There’s a huge variety of freebies available. In the past we have received free shampoo, body cream, cereal bars, tea bags, coffee samples, perfume, toothpaste samples, magazines, books, make-up and so much more. Take a look at our freebie photos and video testimonials page to see what our visitors have been getting through their letter box. 5) How often are new freebies released? New freebie offers are released everyday. LatestFreeStuff.co.uk is updated daily with new freebies. If you want to be the first ones to know about the latest freebies then join our Email Newsletter, Facebook and Twitter page. 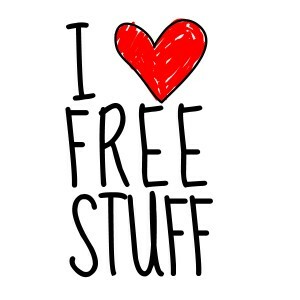 6) Why do companies giveaway free stuff? One of the most popular questions – Giving away free samples is a marketing strategy to attract new customers. When people try samples, if they like it, then 70% of the time they will buy the produce in the future. So companies giveaway freebies in the hope of getting new customers in the future. 7) Can you send me email updates when new freebies are released? Yes, if you signup to our email newsletter at the top of the page then we will send you regular updates. We will send you a weekly email newsletter with all the best freebies from the week. 8 ) Do you charge for your services or is it 100% FREE? There will NEVER be a charge for using this website. We are a community website trying to help freebie hunters find free stuff and samples. We aim to become the biggest and best freebie community in the UK. 9) Will I receive lots of SPAM? Your personal details will be used by UK companies to post you freebies. With every offer their is normally an opt-box for receiving future emails. Tick this box and you shouldn’t be contacted in the future. Have a look at our freebie hunters hints and tips for more ways to cut down SPAM. If you signup for our freebie newsletter then we will NEVER share your details with any 3rd parties. It will only be used to send you a weekly newsletter. Many companies require you to enter an email address in their freebie request forms. To stop your normal email address being clogging up with emails, we suggest setting up a new email address (with Gmail or Hotmail) just for freebie offers. 10) What do you recommend we do with freebies we receive that we don’t want? Do as we do and donate your extra freebies to your local food bank. That way, somebody else will be able to make good use of them. You can find your nearest food bank here. 11) We are a media organisation. Who do we contact for interview or more information? Send us a message through our contact us form. Leave your name, phone number and a brief message and we’ll be more than happy to get back to you. We have already been featured in many UK websites and newspapers. See our press coverage page for further information. If you need facts and figures of our website, please take a look at our press information page. 13) If you still have more questions? If we haven’t answered your question, send us a message through our contact us form and we’ll get back to you within 24 hours. You can post the link above on your website/blog if you want to tell the world about our freebie website. Tell your friends about our website. I’m sure they’ll love our freebie offers!